What had happened in the past thirty years? Since 1976, the home-woods at each company factory had grown much larger than their prediction and the neighborhood had been developed further and populated more. The fallen leaves were scattered on the ground and the overgrown woods even made the neighbors feel insecure. The home-woods, which was created to build a strong tie instead of concrete walls to isolate the company from the neighbors, had become just another kind of wall to interfere the communications. Our strategy was to bring the Japanese tradition of sato-yama to the home-woods. It was a well-planned process to control the woods by introducing appropriate clearing of the trees and enhancement of the germinations. “Vibrant forests for our children, for our communities” was the goal of the Honda Woods project and was to rebuild the strong ties between the Honda factories and the communities. 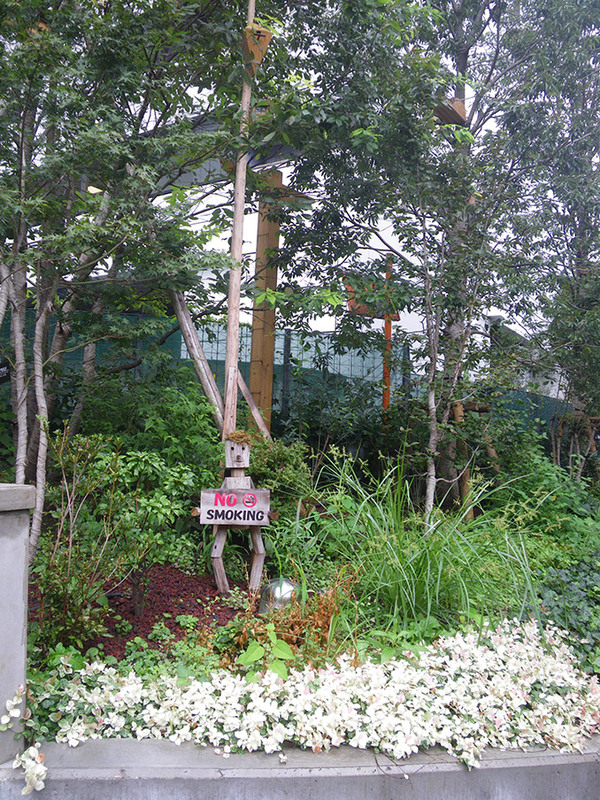 We revitalized the woods for the neighbors’ use with the keywords, sustainability and harmony. 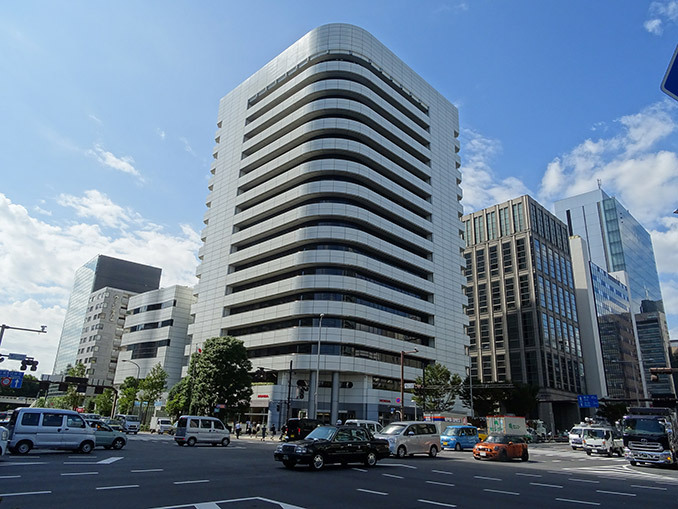 Honda’s headquarter is in Aoyama district, Minato-ward, in Tokyo. It is located at the intersection of a national road and a prefecture road. There is also a subway station nearby. At the north of the campus, there is a Japanese royal family’s property and the Meiji Shrine campus, where the new national athletic field has been constructed for the 2020 Olympic games. There is a beautiful graveyard at the south of the corporate campus. It is a very nice business district situated in well-vegetated environment in the middle of the metropolitan. 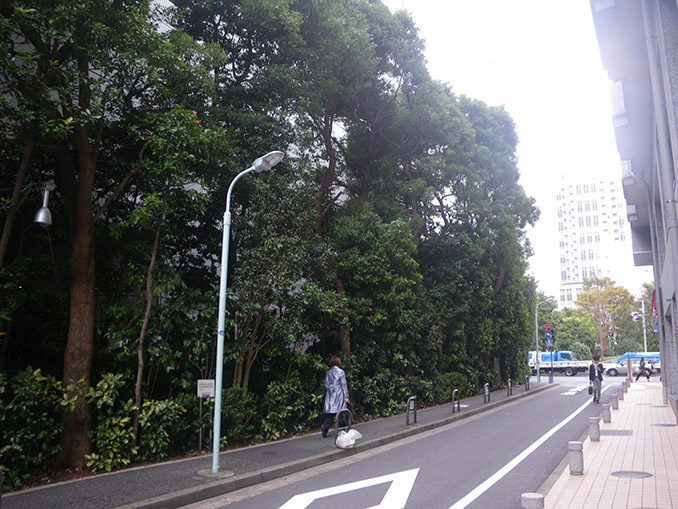 At the plaza in front of the shopfront within the headquarter building, there are fourteen camphor laurel trees that are very rare in Japan. 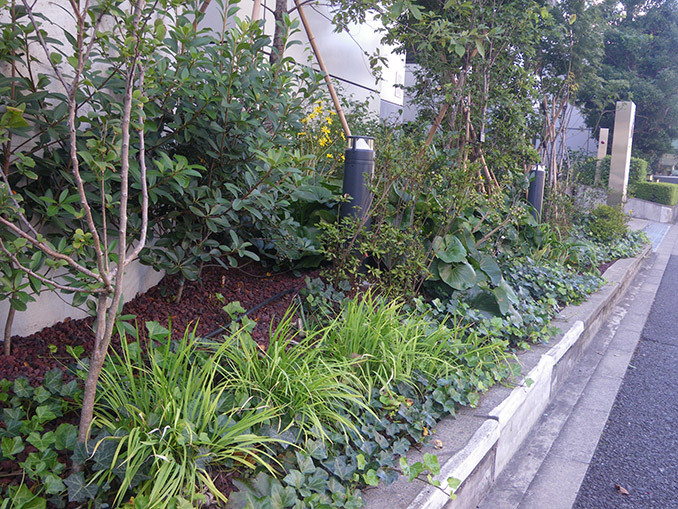 Mr. Soichiro Honda transplanted them from his factory in Kumamoto Prefecture to the Aoyama headquarter to create landscape that would suggest a way to live in nature. As time went by, they had confronted with difficulties that were typical of an urban area. The plaza at the intersection provided a nice open space and the other side of the campus was designed to be a quiet neighborhood street with a plant hedge. The hedge, however, was overgrown and blocked the sunlight. 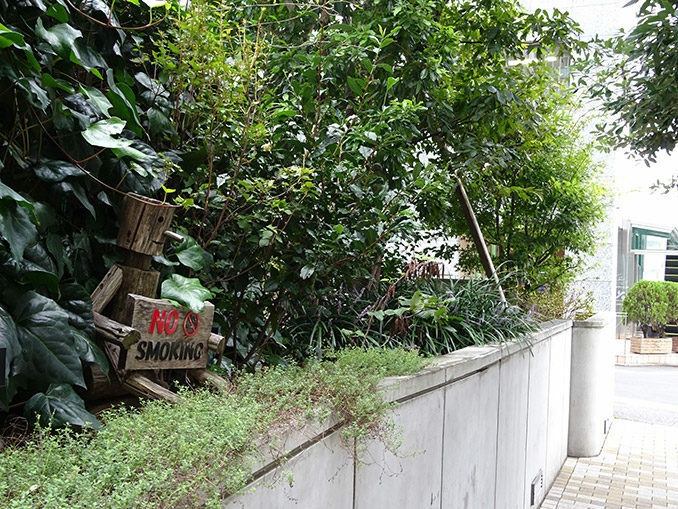 The alcoves by the sidewalk attracted smokers and cigarette buds were everywhere. 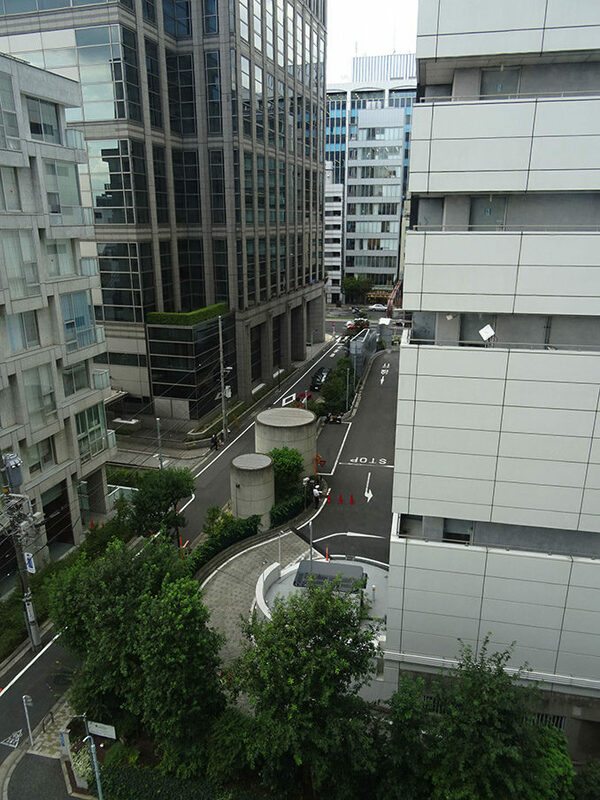 Since the trees were planted in the very shallow soil, in the depth of 30 cm to 100 cm, due to the underground parking structure, the tree roots had not enough room to grow into. The concrete paving was cracked and damaged from being lifted by the tree roots. If there had been a typhoon, the trees would had been knocked down easily. Even in the urban conditions, Honda Woods was to be a space that people could enjoy the sato-yama, the traditional Japanese village setting, where people would live in nature with the minimum amount of control of the environment. We proposed to remove all the existing broadleaf evergreen trees from the last development, the home-woods project, and to plant oaks and maples to create groves primarily with deciduous trees. 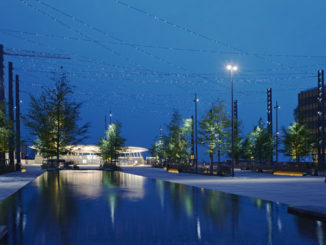 There were proposed smaller trees as it would become closer to the plaza by the intersection. 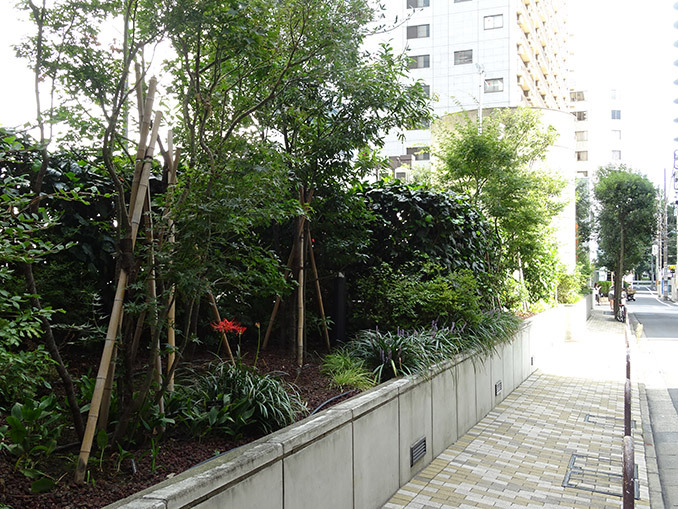 We also planted Japanese native shrubs and interesting grasses to cover the ground, which would create a space with various kinds of plants including the camphor laurel trees at the plaza. The campus has been a place where neighbors and visitors enjoy the beauty with various plants and seasonal landscapes. The removed existing trees were used for crafts to decorate the campus. The signs to discourage roadside smoking at the alcoves were made of those trees and a little wooden doll was crafted to hold the signage board. 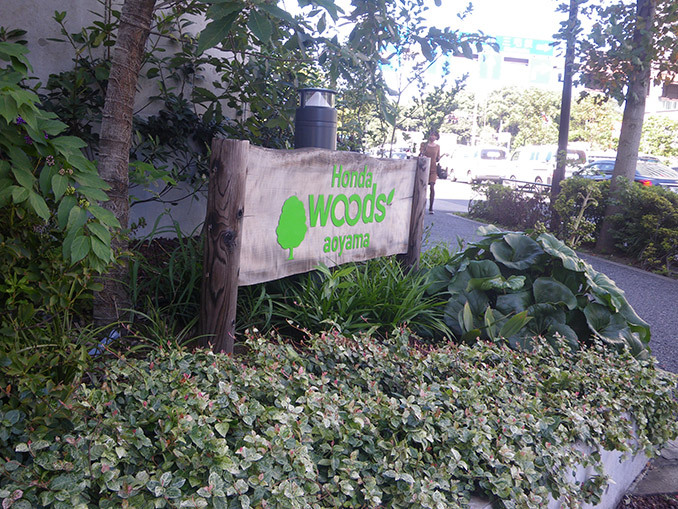 Hello Woods with Honda Motor Co., Ltd. contributed to design the signage and the doll. It is an organization to dedicate in child education as a part of the Honda Corporation’s social contributions. 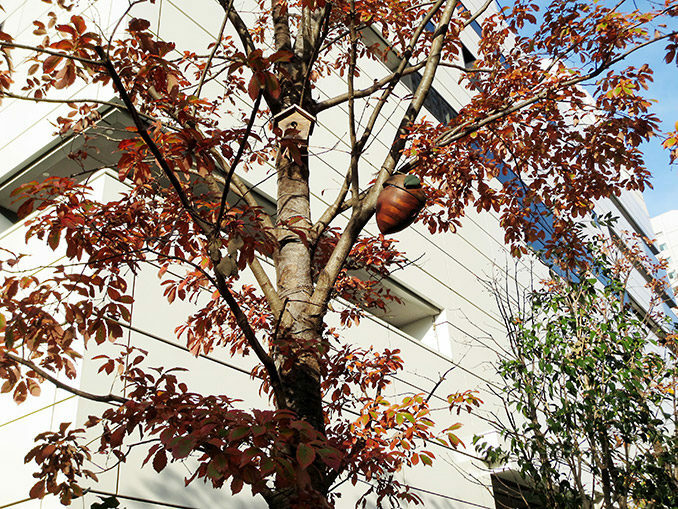 The birdhouses that were designed by the organization were also introduced. The designs were the outcome of a collaborative project called “Bird House Project” with Honda Motor’s design department and Hello Woods. The Aoyama Honda campus was developed as a role model for the fourteen other Honda offices/factories in Japan. 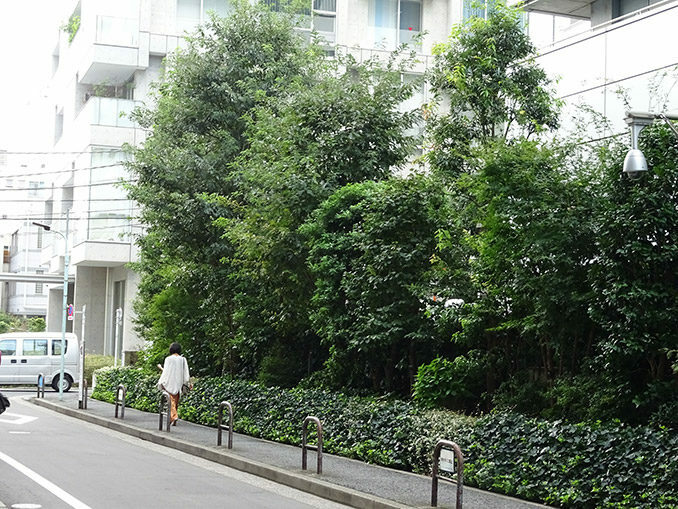 There are on-going projects with the other Honda facilities also creating woodlands like the Aoyama campus. And, sustainability and harmony are always their keywords. 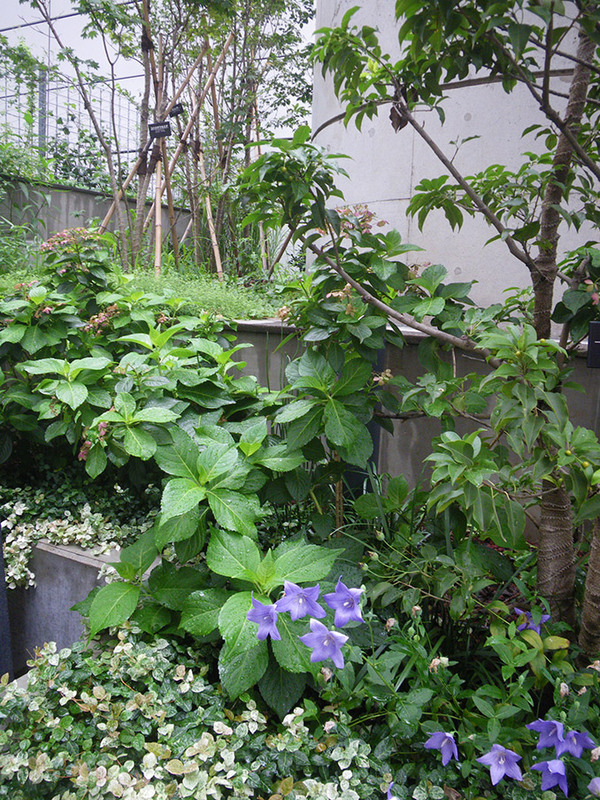 Landscape Architect | TAKANO LANDSCAPE PLANNING Co.,Ltd. 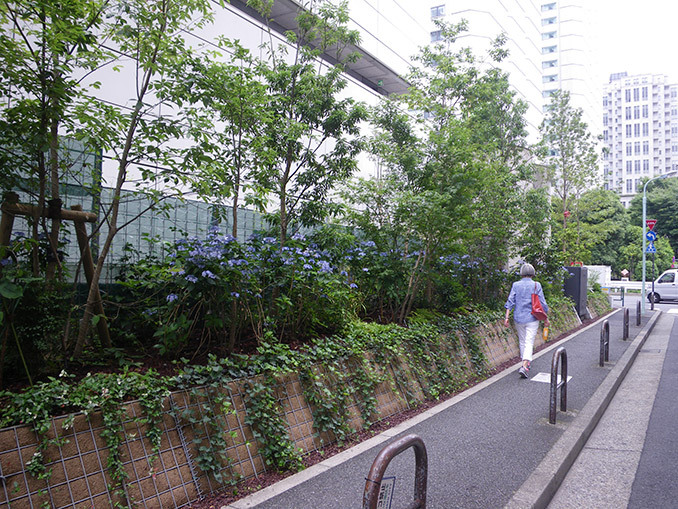 Images | TAKANO LANDSCAPE PLANNING Co.,Ltd.